“After a duet performance with Joni Mitchell at the Bread & Roses Festival in Berkeley, California, in early September 1978, Hancock hit the road again with his new band – Bennie Maupin, Ray Obiedo, Webster Lewis, Paul Jackson, Bill Summers, and Alphonse Mouzon – for a tour of Australia, before arriving in Japan in late September. In mid-October, the band entered Tokyo’s CBS/Sony Studios to record Directstep, for which producer David Rubinson and engineers Fred Catero, Tomoo Suzuki, and Bryan Bell (Hancock’s keyboard engineer) made use of a cutting edge recording technology known as “Direct-to-Disc.” With no editing, fixing, or overdubbing possible, the live performance was ‘directly’ recorded in real time on a master acetate disc, yielding extremely high quality LP pressings. The total time was generally limited to 16 minutes per side, including sufficient spacing between songs – a great challenge for the musicians. Herbie continued to record for CBS/Sony until 1981 and his output included The Piano and Directstep, early examples of direct-to-disc recordings. Direct-to-disc meant recording live to the actual master disc, which was then used to make stampers to press multiple copies, eliminating the middle elements which affected audio quality. “The CBS/Sony relationship was a test bed for new technologies and new approaches to recording. I had the great opportunity and honor to meet Dr. Toshi Doi who was chief architect for Sony in the development of the Compact Disc and the creator of the Walkman. Through the able assistance of the talented production coordinator Yasohachi Itoh, or 88 as we sometimes called him (his name translates to 88 in English), and the efforts and genius of my former manager David Rubinson, that I had the opportunity to be involved with these new technologies and approaches from the ground floor as the initial concepts were being developed. One of those approaches was Direct-To-Disc, which is not a new approach but an old one updated to, what was then, the current technologies, just in the interim between compact discs and vinyl records. Before the development of tape editing, all records were recorded Direct-To-Disc. As we know, once tape was used for recording, the convenience of editing the tapes through splicing one part of the tape to another became the norm. The concept of post-production was born. Perhaps as an attempt to honor those brave souls from the “old days,” We attempted what was considered to be the impossible – to record a song from beginning to end in one take without editing. Recorded October 17 and 18, 1978 direct-to-disc by Fred Catero, Tomoo Suzuki, and Bryan Bell at CBS/Sony Studios, Tokyo. Mixed by David Rubinson and Fred Catero. – Another version of the song “Shiftless Shuffle” appears on the album Mr. Hands. Yamaha CS-80 – A polyphonic analog synthesizer released in 1977 that featured eight-voice polyphony and a basic memory system to remember the musician’s settings for each sound. 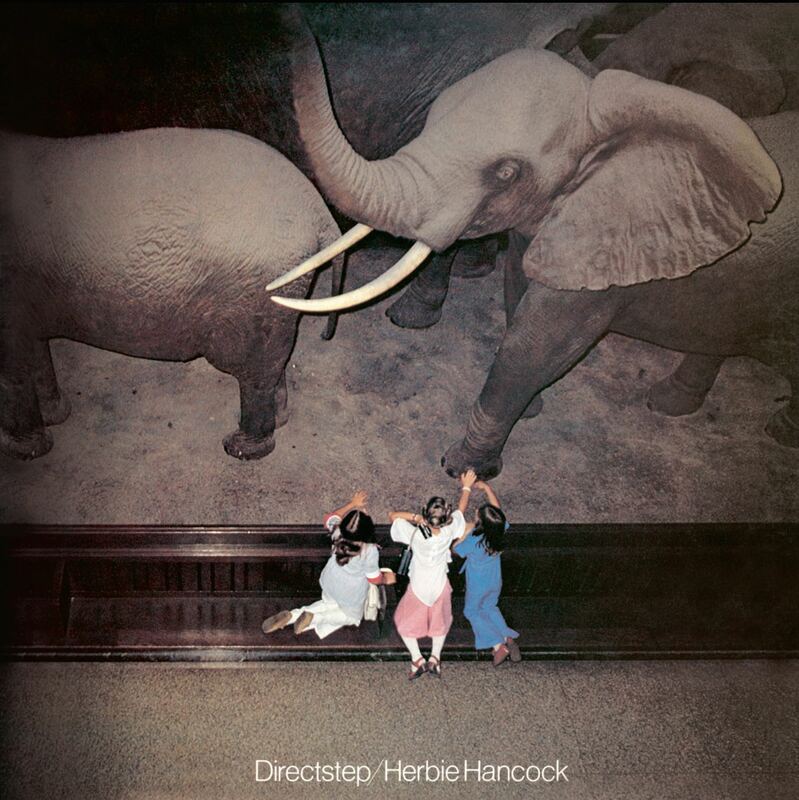 Herbie played this instrument on his 1978 album Directstep. Micromoog – A monophonic analog synthesizer first made in the mid-1970s offered musicians a smaller more affordable synthesizer than what was otherwise available. It can be heard on Directstep. Multimoog – A monophonic analog synthesizer first made in 1978 and designed to be an updated version of the Micromoog and cheaper than the Minimoog. This instrument was played by Webster Lewis on Directstep.